Hyde Park, NY – Over the course of a semester, students in The Culinary Institute of America’s Food History class have been researching and curating a museum exhibit for the public. Guns and Butter: American Food Experiences during the World Wars is the result of this semester’s project. 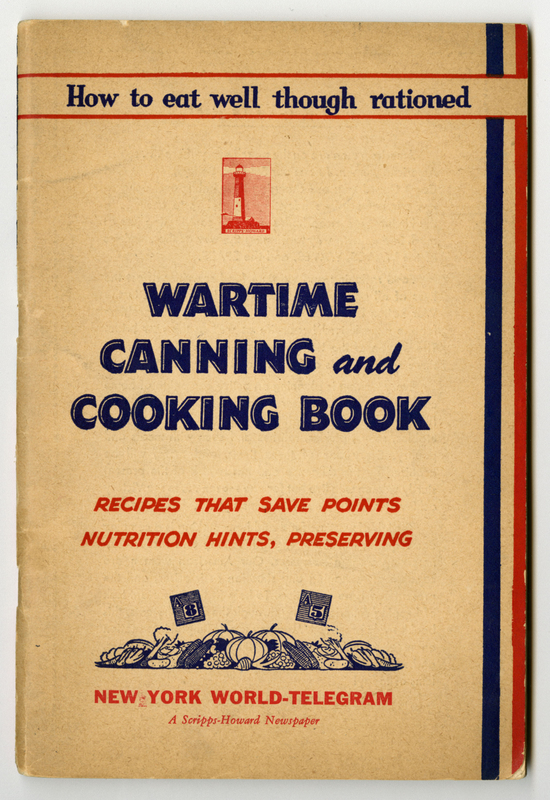 Through the use of primary texts, cultural artifacts, and multi-media the exhibit showcases many aspects related the relationship between food, World War I, and World War II in American history. The title of the exhibit draws on the economic theory of a nation’s resources. As part of the National Defense Act of 1916, a Congressional debate over the use of nitrates for American farmers or to build munitions brought the phrase “Guns vs. Butter” into public consciousness. In this exhibit, CIA students not only mark the centennial of the armistice of WWI, but reframe the debate to illustrate the intimate relationship between guns AND butter, that is war and food. Some of the themes they explored include: food production, technology, and preservation; the role of the government in food rationing and civilian responses; Victory Gardens and the Women’s Land Army; and diets of soldiers, POWs, and those in internment camps. Informational text is gleaned from primary and secondary sources. Students have augmented the exhibit by producing multi-media elements as well. An opening reception will be held on Tuesday, July 24, from 5:30–6:30 p.m. in the Conrad N. Hilton Library on the CIA campus in Hyde Park. Student curators will be on hand to answer questions regarding the exhibit and to prepare and serve recipes that reflect themes in the exhibit. The exhibit will be on display in the Donald and Barbara Tober Exhibit Room in the Hilton Library until December 2018. The hours are Monday through Thursday, 8:30 a.m.–8:30 p.m.; Friday, 8:30 a.m.–7 p.m.; and Saturday, 11 a.m.–5 p.m.